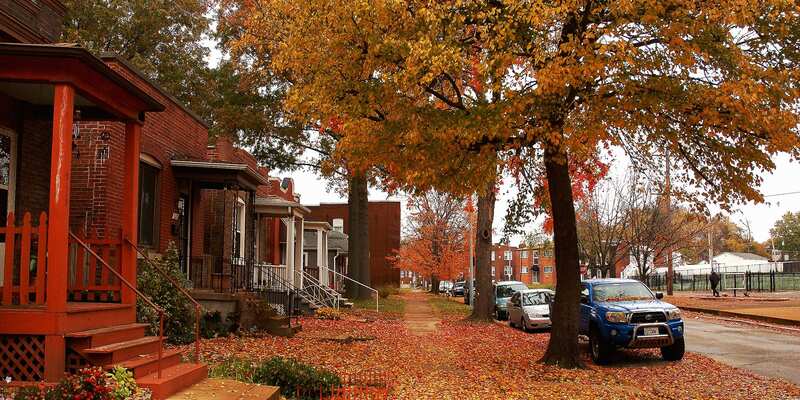 There’s plenty going on in the neighborhood as Dutchtown falls into autumn! The main event in October will be the 2018 Dutchtown Karneval of Curiosities — we hope to see you there! Of course we have a lot more than just that, so read on! Make sure to keep up with our calendar and follow us on Twitter, Facebook, and Instagram to stay up to date on the latest Dutchtown news and events. 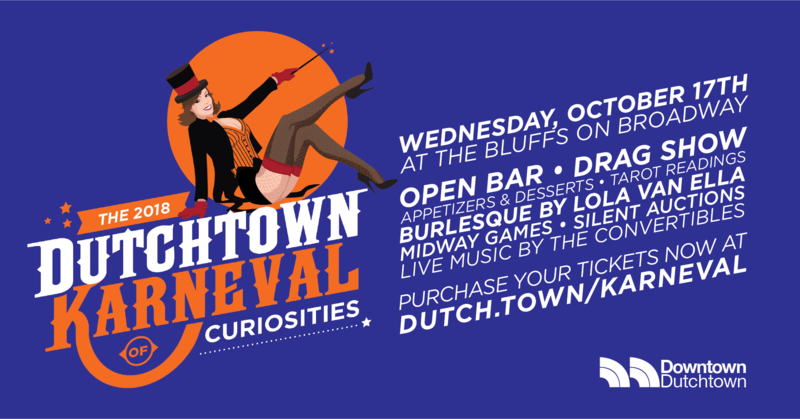 The Dutchtown Karneval of Curiosities, DT2‘s biannual fundraiser, returns to the Bluffs on Broadway on Wednesday, October 17th. This exciting evening features an open bar, appetizers and desserts, burlesque by Lola Van Ella, drag shows by the Queens of Drag, live music by the Convertibles, experiential silent auctions, midway games, fire spinners, mimes, jugglers, and more! Proceeds go toward the Dutchtown CID Safety and Security Fund. You can purchase tickets at Eventbrite or at the door. National Night Out is Tuesday, October 2nd. 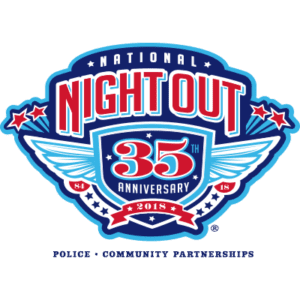 The goals of National Night Out are to generate support for, and participation in, local anti-crime programs and strengthen neighborhood spirit and police-community partnerships. Celebrate National Night Out by getting outside and meeting your neighbors, or go all out with a block party! We highlighted a few events in our earlier post. Gravois Park meets Tuesday, October 9th at 6pm. They meet at 3353 California, the old Jefferson Bank building, just north of Cherokee Street. Dutchtown West also meets on Tuesday, October 9th. Their meeting is at 7pm in the banquet hall at Grbic Restaurant, 4071 Keokuk at Meramec. Marine Villa‘s monthly meeting is Monday, October 22nd. The meeting is at 7pm at Irish Corner Pub at Cherokee and Lemp. The Cherokee Street CID (formerly Cherokee Station Business Association) meets at 5:30pm on Thursday, October 18th at Nebula, 3407 South Jefferson. The Dutchtown CID Board of Directors meets on Thursday, October 25th, 5:30pm at Urban Eats. Every Monday at 7pm the Thomas Dunn Learning Center hosts Practicing Mindfulness: Introduction to Meditation. Discuss and practice different meditation techniques. Come early for dinner or stay late for Laughter Club. Witnessing Whiteness is a program that allows people to come together to do work around racism in a supportive, non-threatening setting, learning to speak about race and racism, and exploring white privilege. The group meets on Thursdays at 6pm. Sip ‘n Sketch is Wednesday, October 10th at 7pm. All skill levels are welcome to a live drawing workshop where participants will have a chance to work with various materials and techniques. Materials are provided but BYOB. Check out either or both regular game nights around the neighborhood. Play your old favorites, try a different game, and make new friends. Earthbound Beer hosts the St. Louis Area Board Gamers for Earthbound Gaming on two Wednesdays each month. Join them October 3rd and 17th from 6pm to 10pm. The St. Louis Board Game Meetup Group gathers at Urban Eats Cafe a couple Fridays every month. In October, they meet on the 12th and the 26th from 6pm to 11pm. Intersect Arts Center in Gravois Park hosts after-school programming, classes, community events, performances, and art exhibitions. Visit their website for the latest events and offerings. On October 6th and 13th, Intersect offers lumen printing classes. Lumen printing uses the power of the sun to create beautiful, unique handmade botanical prints. Register for the class here. The cost is $15. Intersect hosts Leverage Dance Theater‘s immersive performance The Forgotten on October 19th, 20th, 26th, and 27th. Audiences will have a unique experience as they follow the performers through the mazes, hallways, and stairwells of Intersect. Cats n’ Mats Yoga returns to Tenth Life Cat Rescue on Wednesday, October 3rd. This yoga class is open to all skill levels. Tickets are $15, with the proceeds going to help fund Tenth Life’s operations. Find tickets and more information at the Facebook event page. Earthbound Beer hosts Yoga Buzz at the brewery on Saturday, October 13th. Unroll your mat for an hour-long, all-levels yoga practice (beginners are welcome), then receive an 8 ounce cold brew from Coma Coffee and an 8oz. beer of your choice. Tickets are $15 through Eventbrite. Flow Yoga on Meramec offers weekly classes for all levels starting at just $10. Visit their events page for a schedule. It’s Halloween every night at The Haunt on Alaska at Delor! October offers plenty of live music throughout the month, a Creepy Carnival on Saturday, October 27th, and a costume contest on Halloween night. Check their Facebook page for an updated list of events. Spookapalooza is all day and all night on Saturday, October 27th. This Cherokee Street Halloween party spans multiple venues and features dozens of live music and entertainment acts. General admission and VIP tickets are available at Brown Paper Tickets. The Benton Park West Dog Park at Utah and Nebraska hosts Howl-o-ween on Saturday, October 27th from 1pm to 3pm. All dogs are welcome to come play and get treats and there will be a doggie costume contest! St. Anthony’s hosts their annual Trunk-or-Treat on Halloween night from 6pm to 7:30pm. Kids get a hot dog, a drink, a tons of candy. Last year over 700 kids attended! St. Anthony of Padua hosts an indoor flea market on Saturday, October 6th. Find a fabulous collection of bargains, oddities, antiques and collectibles. Food and beverages available for purchase. Also on October 6th, the Feasting Fox celebrates Oktoberfest! Celebrate Dutchtown’s German heritage at the restaurant and pub from 2pm to 9pm. The final Cherokee Street Community Market of the season is at Love Bank Park on Wednesday, October 10th from 4:30pm to 8pm. Find fresh produce, hot food, art, music, and more. 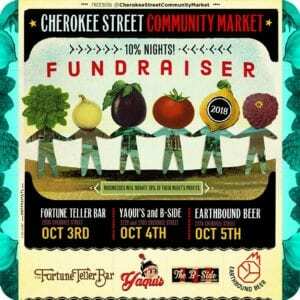 On October 3rd, 4th, and 5th a number of Cherokee Street bars and restaurants are donating 10% of their proceeds to the Community Market. 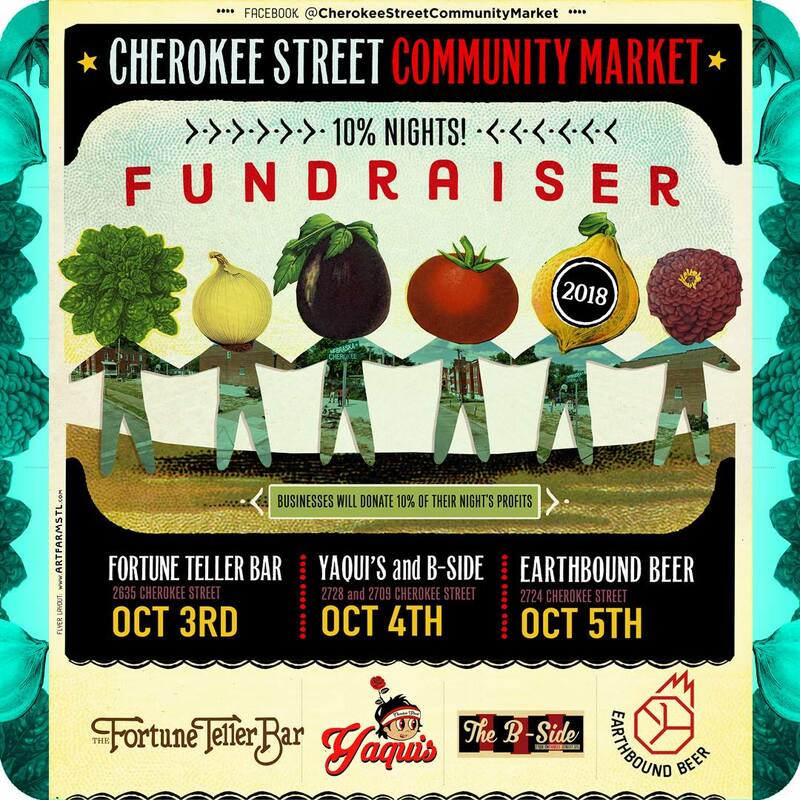 Visit the Fortune Teller Bar on Wednesday, October 3rd, Yaquis on Cherokee and the B-Side on Thursday, October 4th, and Earthbound Beer on Friday, October 5th to help raise money for next year’s markets. The South City Sipsters meet at the Feasting Fox on Thursday, October 18th at 7pm. Sample and learn about a variety of beers and wines while enjoying food and drink specials in the pub. Dutchtown South Community Corporation‘s Community Empowerment Committee meets on Wednesday, October 24th, 6pm at Thomas Dunn Learning Center. They will continue their work on tenants’ rights and fair housing issues. Dinner and childcare are provided. There’s even more on the Dutchtown calendar, and we’re always adding events throughout the month. Let us know if you’ve got an event coming up. Follow us on Twitter, Facebook, and Instagram for even more news, events, and everything else Dutchtown. This post was updated on September 29, 2018 . 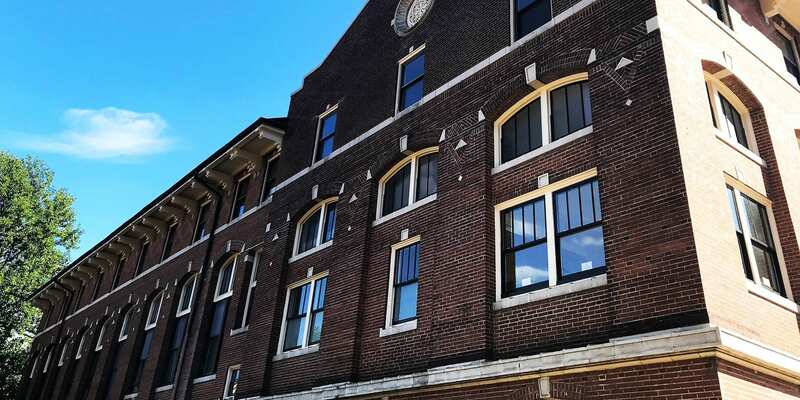 Read more news about Cherokee Street, Classes, DT2, Dutchtown, Dutchtown CID, Dutchtown Events, Dutchtown Karneval, Dutchtown South Community Corporation, Dutchtown West, Fundraisers, Gravois Park, Marine Villa, Meetings, and Thomas Dunn Learning Center.